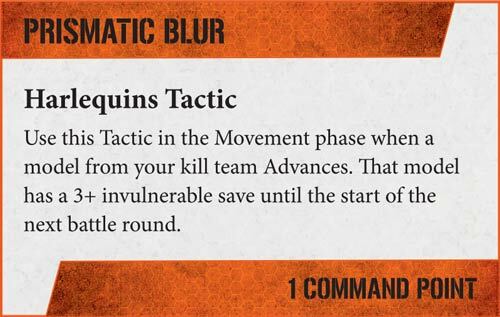 If Harlequin armies go around performing plays and stories and tales of their ancient glories–what do Harlequin Kill Teams do? Besides murder everyone, we mean. It’s possible they just perform scenes. Whatever they do, they do it well, come and see how. 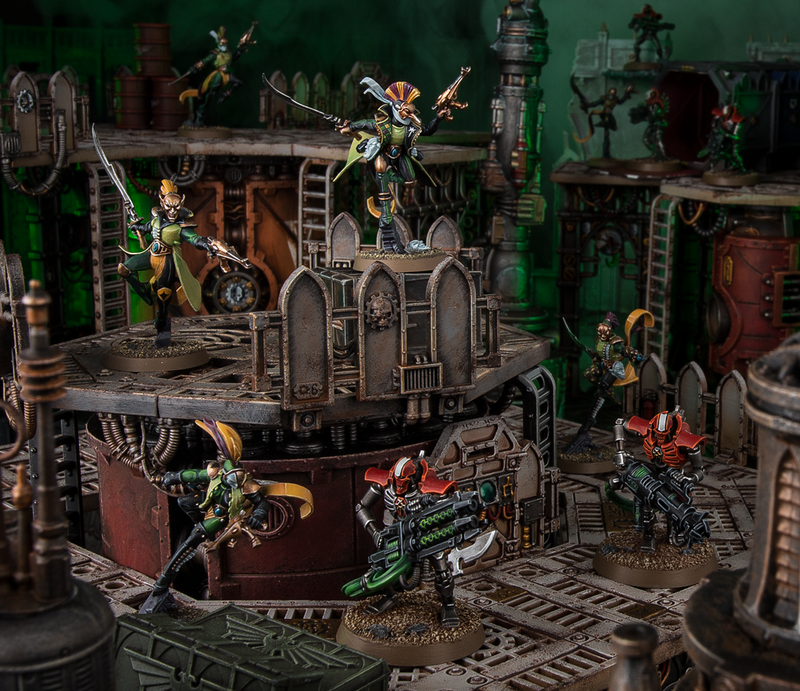 Harlequins are an elite army, even for Aeldari, which makes them a perfect candidate for special ops units where they must go behind enemy lines, or breach a hotly contested killzone. They are unique among the various factions we’ve seen so far in that they have only one unit to bring to the skirmish field–but that one unit can accomplish a lot. Every member of a Harlequin Kill Team is just a humble Player. But they can be kitted out to suit your every need. Seriously, they have some of the most flexible selections of wargear out there. With how easy it is customize your team, you can have the same basic model outfitted in myriad ways, giving you a leg up on your opponent. 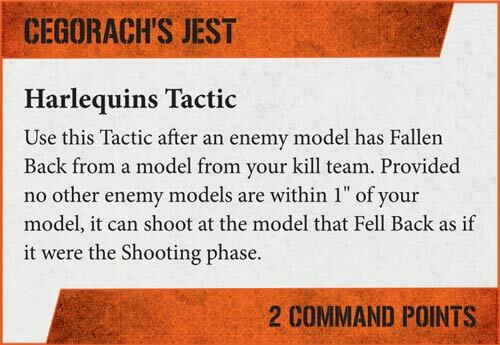 Harlequins are perhaps the most mobile kill team in the game, capable of moving through models and terrain as if they weren’t there – you’ll be able to dominate the battlefield no matter how tightly-packed it is. 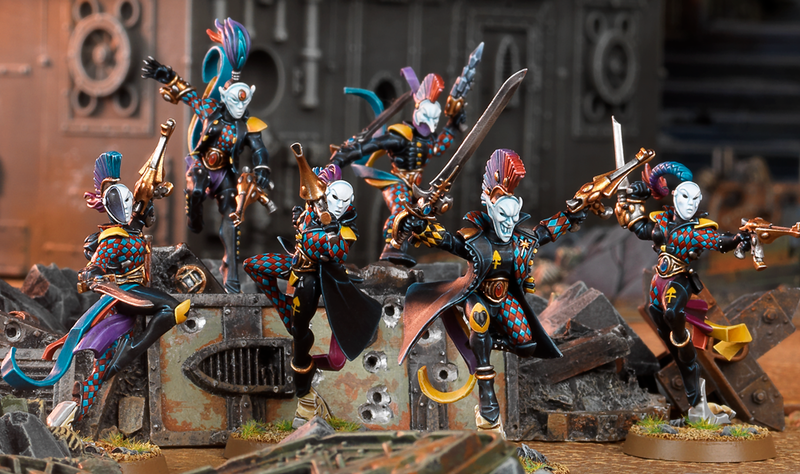 Harlequin kill teams are made up entirely of individual Players from a Troupe – a versatile, highly customisable choice that you’ll be able to gear up for all sorts of close-quarters slaughter. Versatile is the watchword for the Harlequins. Versatility that you can shore up with a sword and a well-placed holo-field. Stratagems like Prismatic Blur and Cegorach’s Jest help make sure that you stay in control of the fight. And that’s a sneak peek at the Harlequins. Be sure and stay tuned for more Kill Team Factions, Updates, and Fun.